With apologies to Jeep, the Land Rover Defender is perhaps the world’s most iconic go-anywhere, do-anything vehicle. 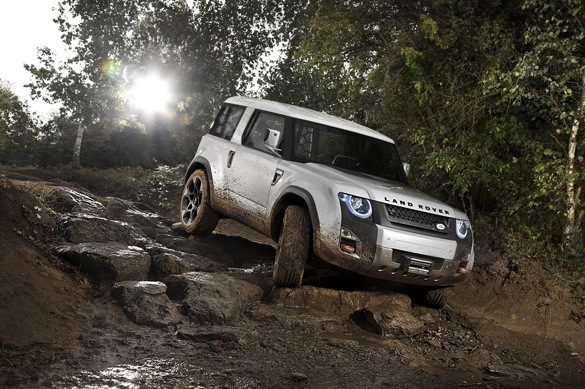 It’s the one vehicle in the Land Rover catalog that is most directly related to the original Land Rover, proven in the harshest terrain all over the world. It’s more pack mule than status symbol, and you’re more likely to see a mud-caked Defender in a British farmer’s field than you are to see a sparkling clean Defender parked outside of Harrods. Only in America is the now-banned Defender considered a plaything for the wealthy. 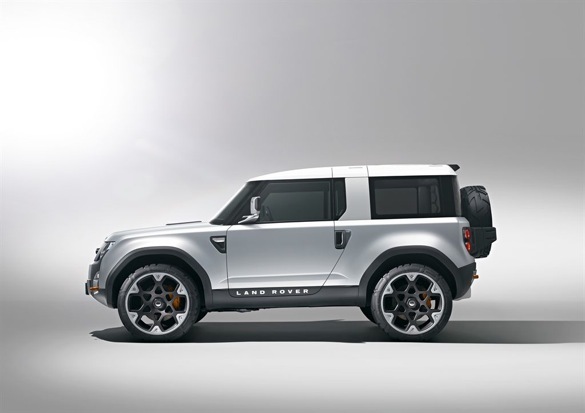 Land Rover has announced that a new Defender will hit the market in 2015, and they’ve provided these images of their DC100 concept as a starting point for the next Defender’s development. I’ll try not to be too critical, but the cute-ute pictured here has as much in common with the iconic Defender as Rosie O’Donnell does with Kim Kardashian. Take the wheels, for example, which would get caked with mud as soon as you hit standing water. They look appallingly fragile, too, as if one good impact on a rock would leave you with a shattered wheel, potentially miles from civilization. On the plus side, the narrow front and rear overhangs ensure that you have the best possible approach and departure angles, and the short wheelbase should keep the DC100 from getting high centered on obstacles. It looks like the truck has a reasonable amount of ground clearance, too. Maybe the biggest problem I have with the DC100 is it’s appearance. It looks about as rugged as Justin Bieber, and as pictured will appeal more to teenage girls than to those needing rugged and dependable transportation out where the busses don’t run. I know it’s just a starting point, but I hope the next images released by Land Rover show a truck with a bit less flash and a bit more attitude.